My birthday present to myself yesterday was a few hours shooting city stuff. A little change is always inspiring. Starting in Toronto’s Graffiti Alley, I gradually wandered into the neighboring back alleys of Chinatown. Against remnants of graffiti this person had planted some flowers along his garage. They looked like an impressionistic painting! I have a new toy which was just what the doctor ordered for this: the Topaz Lab creative collection. 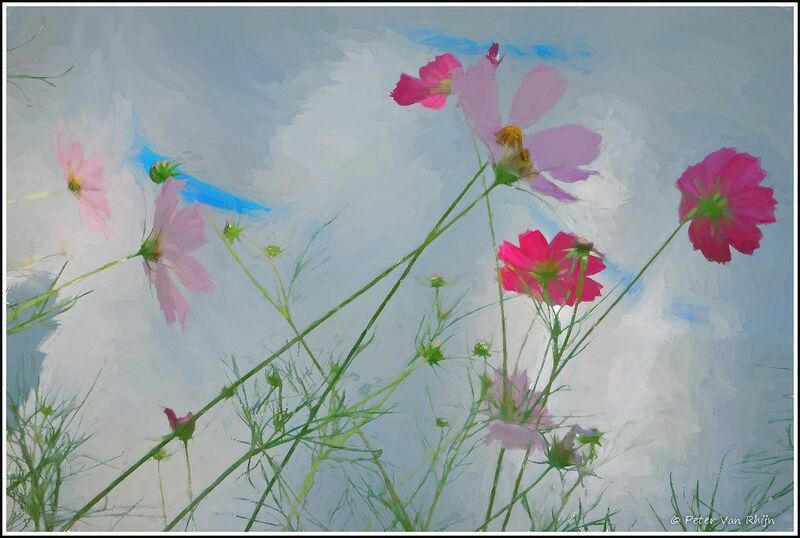 It can turn your pictures into paintings. Variety is the spice of life folks!